MANILA, Philippines – Jimmy Alapag took another step forward in his education as a coach when he officially made his debut as an assistant for San Miguel Beer on Sunday at the Araneta Coliseum. Seeing Alapag – a cornerstone of the Talk 'N Text for more than a decade – in San Miguel's red and white remains a strange sight, but for the former PBA Most Valuable Player, he is simply continuing his basketball journey. "I think with coaching, it's very similar to when you're playing," said Alapag, an 11-time PBA All-Star who won the league's top individual award in 2011. "The learning process never stops," he stressed. "I've felt like that through my career playing, and now that I've transitioned to coaching, there's always more that you can learn." Alapag had served as an assistant coach to Meralco – his last team – following his retirement from the PBA. In 2017, he took over as head coach of San Miguel Alab Pilipinas, and went on to steer them to the ASEAN Basketball League title in May 2018. 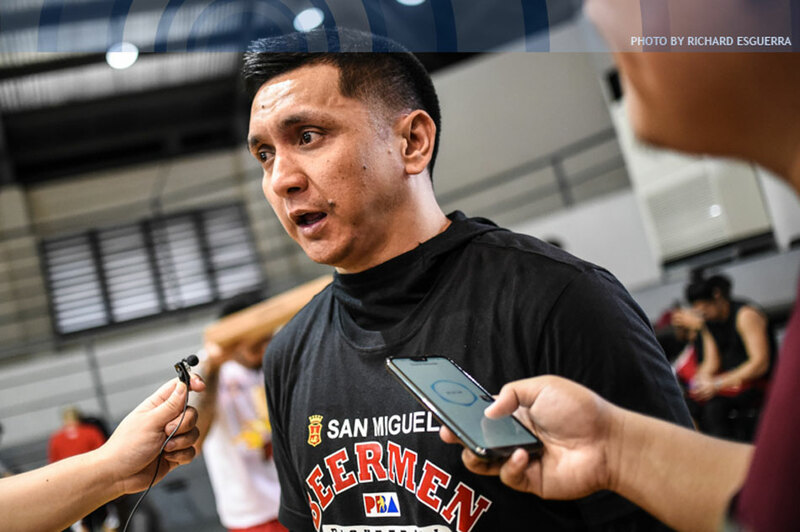 He joined the San Miguel Beer coaching staff ahead of the PBA's 2019 season, but made his first appearance just on Sunday as SMB's previous games coincided with Alab's. "I'm thankful to have played with a lot of great coaches in my career and to have had a lot of coaching experience in the relatively short time that I've coached," he said. Alapag expects to keep learning from SMB's veteran staff, headed by multi-titled mentor Leo Austria. "Even now as a coach, there's still a lot you can learn so I'm thankful to be around with Coach Leo and Coach Ato (Agustin) and the San Miguel staff trying to help the team and at the same time learning," he explained. The Beermen were triumphant in Alapag's debut at the bench, as they clobbered the Magnolia Hotshots 113-92 to hike their record to 4-3 in the 2019 PBA Philippine Cup. Alapag acknowledged that the situation was "a lot different" from what he had been used to in his playing career, which he spent with teams in the MVP group. "But again, now that I'm here, I'm here to continue the success that they've had the last four years and the rich history of the franchise itself," he said. 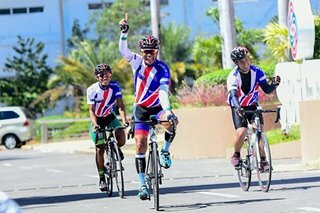 "I'm here to help," Alapag stressed. "That's my main focus. They've been a dominant team for quite some time and now that I'm here, I'll try to help them continue to do that."